As a former teacher I know a lot about fine motor skills in regards to early elementary, but I didn’t know a ton about fine motor skills for toddlers. That all changed once I became a mom and pretty obsessive about all things developmental for my son. So, I did what any mom would do and I turned to Google. Which can be a super helpful resources but also pretty terrifying. If you dig too deep into Google you end up thinking your child is too far behind to ever catch up (and they’re only a year old) or you’ll inevitably discover you have the ebolla virus and will soon die while you’re child is still lacking in fine motor skills. A bit dramatic? Or totally true? Probably depends on what type of mom you are (and we’re all great moms)! 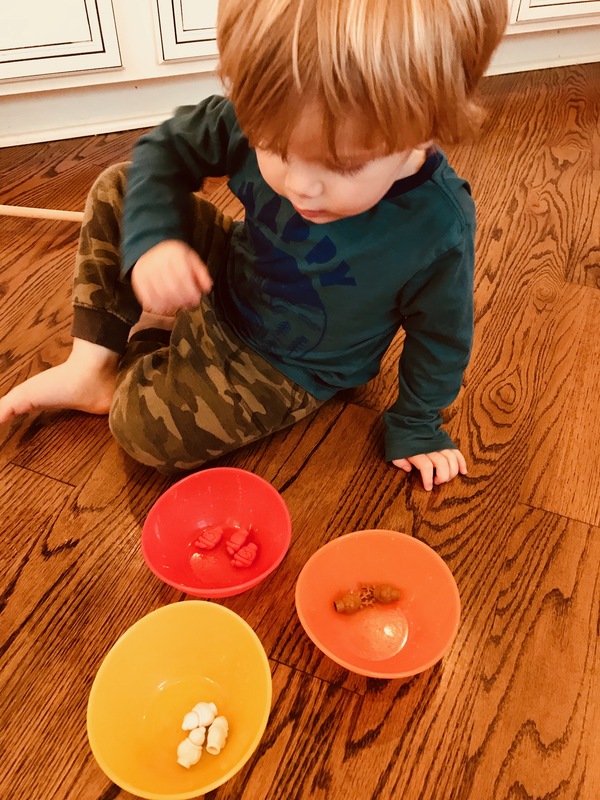 Regardless of whether this describes you are not I wanted to create a post that you could come and learn all about Fine Motor Skills for Toddlers but also for the ages before and after. That’s why I decided to start with infancy and go to 3-5 year olds. This is my hope. That you can learn about your child’s development and get some ideas about how you can help further their abilities. This not my hope. That you freak out because your child is not exactly at whatever age mile marker and decide that you are a horrible mom. Please know that these are suggestions. Only you truly have a mom gut for your child. If something is a little off and you know that’s normal for your child don’t worry about it. If you are truly concerned about a skill they may be lacking start using some activities I’ll give you and contact your healthcare provider (Lord knows I’m BFF with our child’s nurse by now). Let’s get started with all the Fine Motors Skills fun (in my best teacher voice)! Some affiliate links are included at no extra cost to you. Fine motor skills are important because they are needed for any child to work toward independence and mastery of basic life skills. You know, the ones that involve refined use of the small muscles which control the hand, fingers and thumb. These skills are the same ones that enable your child to do important tasks like write, cut with scissors, feed theirselves, button and use zippers to name a few. These skills usually develop through experiences with play, different materials and food. I’ll start be going over fine motor skills in infancy and then continue all the way to fine motor skills in 3-5 year olds. You’ll learn about what skills each age group should have. I’ll also be giving you some activities for each age group to refine their skills or develop new ones all together. I know we are here to talk about fine motor skills for toddlers. But learning is a comprehensive matter. So, I thought it only appropriate to start at the beginning. As soon as a child is born their fine motor skills are being developed. Fine motor skills development starts in infancy by using their fingers to touch. 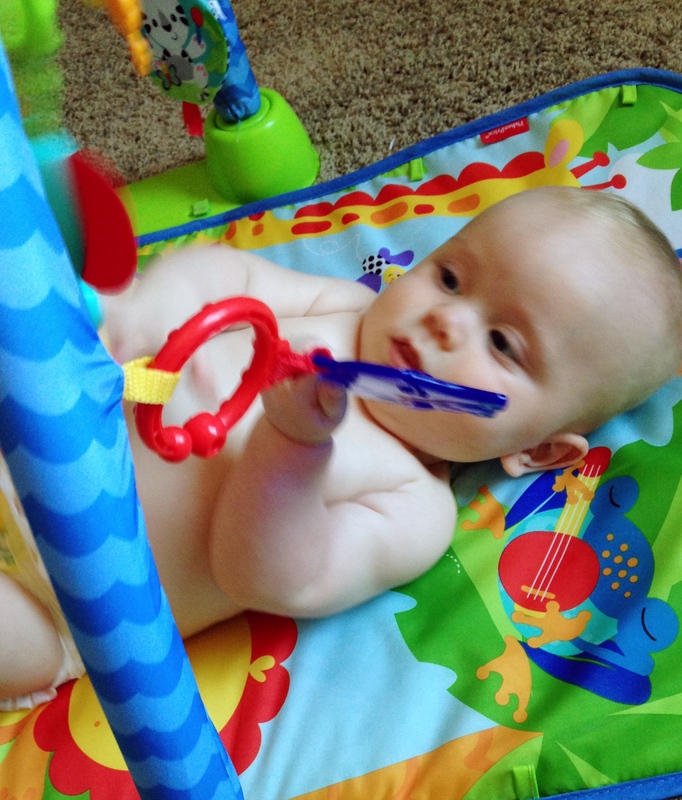 Then, once their hand – eye coordination is developed they can then begin grasping at objects. After an infant is able to sit up he/she will be more capable to reach and grasp for objects. Between six to twelve months a new series of fine motor skills begin to develop. They have an increase in grip since they are likely more stable while sitting up. Their vision has improved enabling them to have a better focus on objects. And, at this age they will start to transfer objects from hand to hand. Plus they can use their pincer grip to pick up small objects. There’s a lot that happens in infancy so don’t be afraid to expose your little one to different toys, foods and objects (non choking hazards of course). Turns their head toward sounds and voices. Stares at bright objects and follows them with their eyes. Moves his arms together and apart. Grabs for objects within her reach. Rolls over to explore and get objects. Reaches, grabs and puts objects in their mouth. Moves objects from one hand to the other. Once they turn a year old a great amount of independence is starting to be exerted. They are beginning to realize that they are their own person and their is so much to explore in the world around them. Fine motor skills at this age are really tested as your toddler becomes more curious about everything. Which is pretty great because it gives them an opportunity to practice those fine motor skills. The skills they are developing now will help them become more independent people that grow up and leave us. Wait, I meant that grow up and live successful lives. Scoop food using a baby spoon or fork. 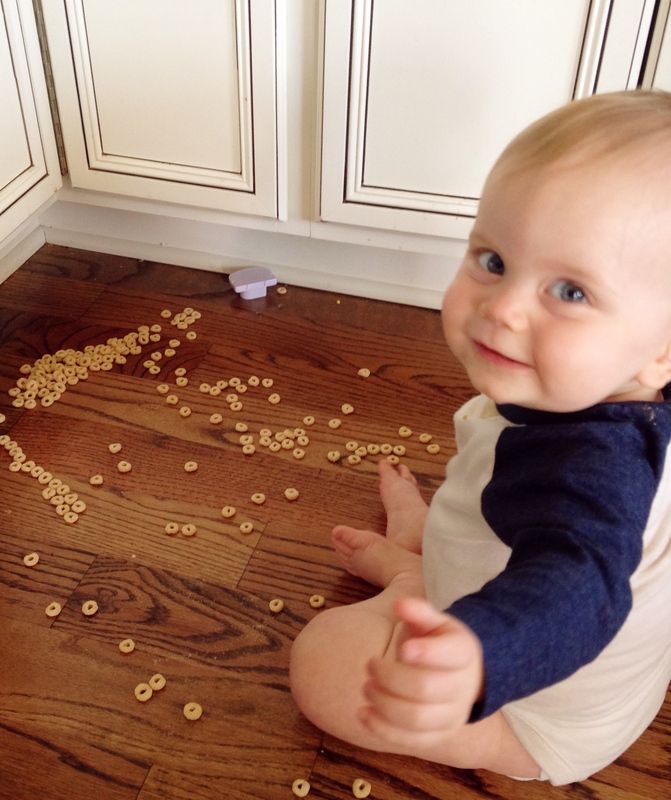 Pick up small objects like Cheerios using their pincer grasp (thumb and finger). Place objects in a container and dump them out again. Build a tower with 4-6 blocks. Turn pages of a book (2-3 at a time). Hold pencil or crayon in their fist. 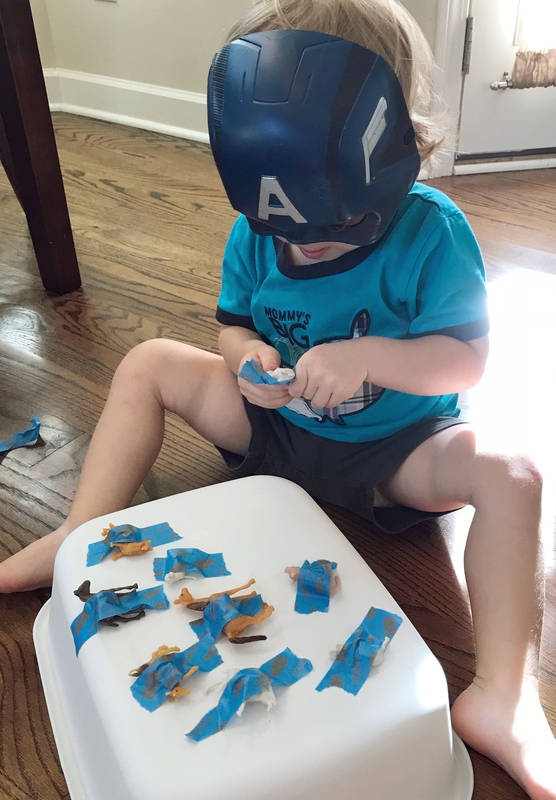 But, when I can get him to slow down long enough to work on fine motor skills here are the things I look for a 2 year old to be able to do or at least start doing. Turning pages of a book one by one, instead of multiple pages at a time. Roll, squeeze and play with play-dough to change the shape. Fold paper in half (not perfectly). Imitate you drawing a line. Use scissors to cut (though they may hold them with both hands). Use one hand more than the other during most activities. Build a tower of 9 blocks. If you are now thinking, “How can I improve my 2 year olds fine motor skills?” I’ll be answering that soon in the Activities section. You can also scroll down if that’s what you’re looking for right away and you have no interest in reading about 3-5 year olds yet. As your child reaches preschool/school age fine motor skills remain very important. You could even say more important than they have been before because more will be expected of them in the classroom. I’m not saying that to scare you (at all). More accurately, I’m saying it to make you aware of the pressures on our kiddos in the classroom. Sometimes at this age it’s easy to assume they’ve got it all together. And sometimes they don’t. Draw a circle after you model first. Is able to unbutton large buttons. Can cut a circle out. Can move the page while cutting paper. Grasps a pencil correctly (this one is huge in the classroom). Begins to print their name (usually in all caps). Draws a person with 6 different body parts. Fortunately if you feel like your child is lacking in some of the already mentioned above there is plenty of room for practice. Below I’ll give some activity ideas for each age group. 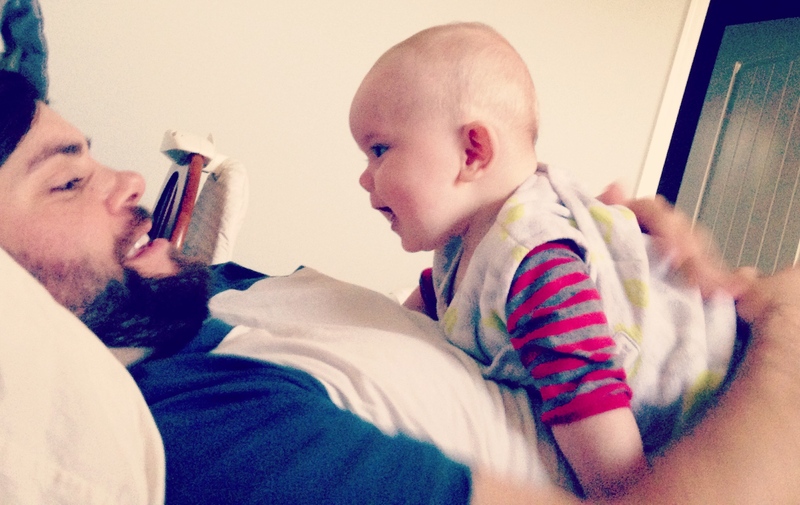 Tummy Time – My son was not a fan of this one but I know it’s so beneficial. Limit it to short periods of time (1-2 minutes). You can also hold up colorful toys so they’ll try to look up. The whole point of this is to strengthen their neck. Blocks – This will encourage your infant to move because they want to get near the blocks. That movement could be a roll, a drag or a crawl. Ball – Rolling a ball to one another is a good way for you to interact with your child. Don’t be surprised if it takes him a while to actually roll it back. Grasping & Letting Go – Your baby can practice this with rings that hang above them, blocks, a favorite blanket or stuffed animal. 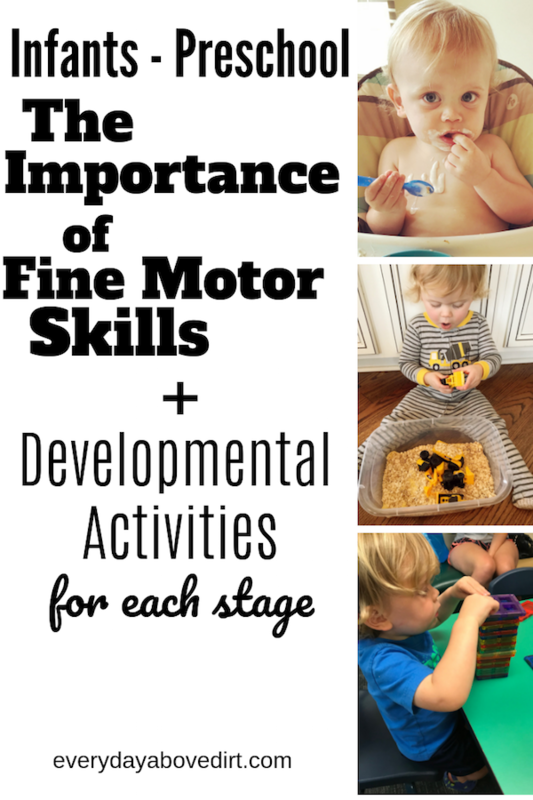 At the infant stage it’s pretty safe to keep fine motors skill activities pretty simple. Exposing them to activities like the ones above will get them curious and interested in working on their fine motor skills. Stacking Cups or Blocks – This activity can be as basic as you want it to be. I have bought Red Solo Cups that provide so much enjoyment and cost me $1.99. But you can also buy toys that are stackable cups and wooden blocks. The point is working on fine motor skills can be easy. Bubble Play – Bubble play can happen in two ways. One, by creating bubbles in a tub or bin of water and letting your little guy or gal go to town. Two, is by actually blowing bubbles and asking them to pop them. Stickers – Stickers are an awesome fine motor activity because your child is faced with the task of removing the sticker from the paper. This takes a lot of concentration and fine motor skills. Side-note: make sure you have a place for them to put the stickers once they peel them of or they will end up on your walls (or the dog). Also, dot stickers are the best and if you take the white backing off it’s easier for them to remove the stickers. Banana Peeling – I told you basic is my favorite. You can simply give them a banana and let them finish peeling after you have already started the peel. Or, you can slice the banana into smaller pieces with the peel on and let them remove it. Cloud Dough – One of my favorite activities. If you click the link you’ll get the 2 item ingredients and instruction on how to make this magical dough. Magnet Play – You can just use the magnets on your fridge or buy some fancy magnets. The simple act of taking them on and off the refrigerator is a great way to work their fine motor muscles. Finger Painting – If this one makes you a little nervous because you don’t know where the pain will end up. You can do what I did and use bath paint on a tupperware lid while you’re outside. Since this we have gotten braver and I’ve found some wonderful WASHABLE fingerprint that we use most often. Balloon Float – Blow up a balloon. Then challenge your toddler to help you keep it in the air. You’ll both be working your coordination skills. 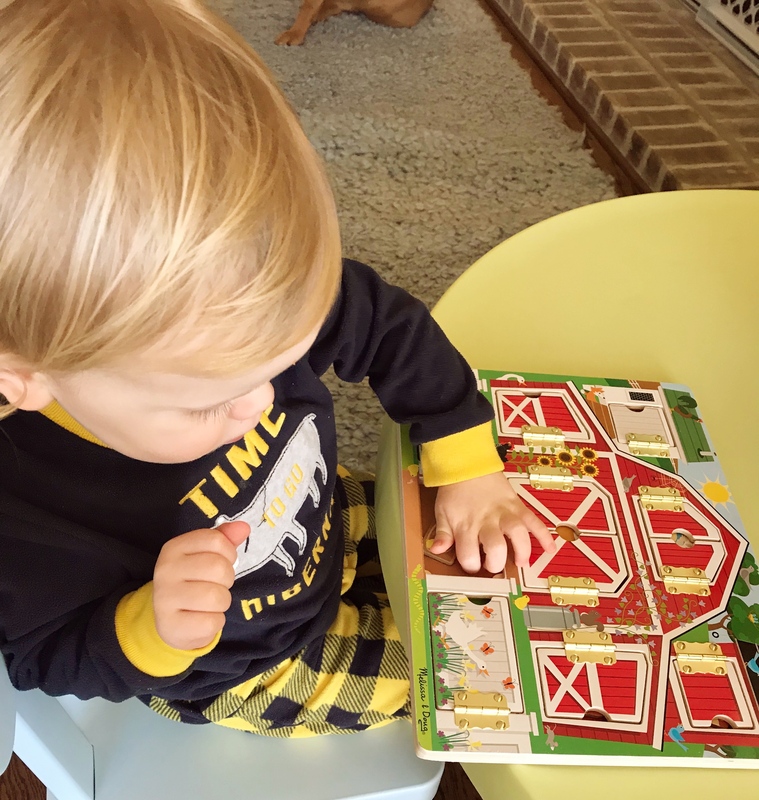 Wooden Puzzles – I love all things Mellissa & Doug. Especially their wooden puzzles. 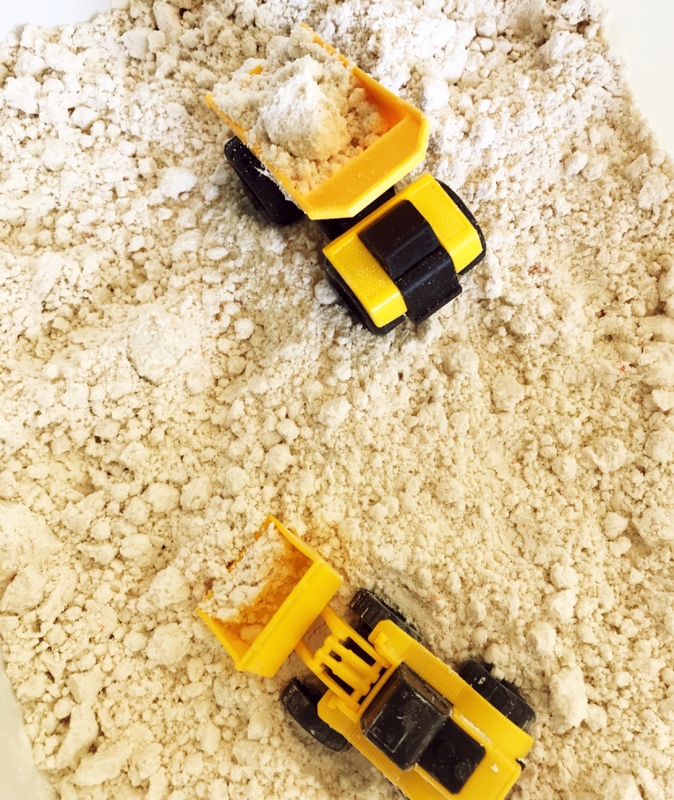 Water Pouring/Filling – If you don’t love messes this could be a bath time activity. Give your toddler some cups and show them how to fill up a cup and then pour it into another cup. You can also get creative and use different types of containers. I also wanted to share some great DIY fine motor skill activities for toddlers. A fellow mama created this and they look so easy that someone DIY challenged (like myself) could even do them. Hammering – I have found that Golf Tees are the perfect “nail” for a lot of objects. During the Fall we hammered pumpkins. But, we’ve also hammered “nails” into boxes, foam, and potatoes. 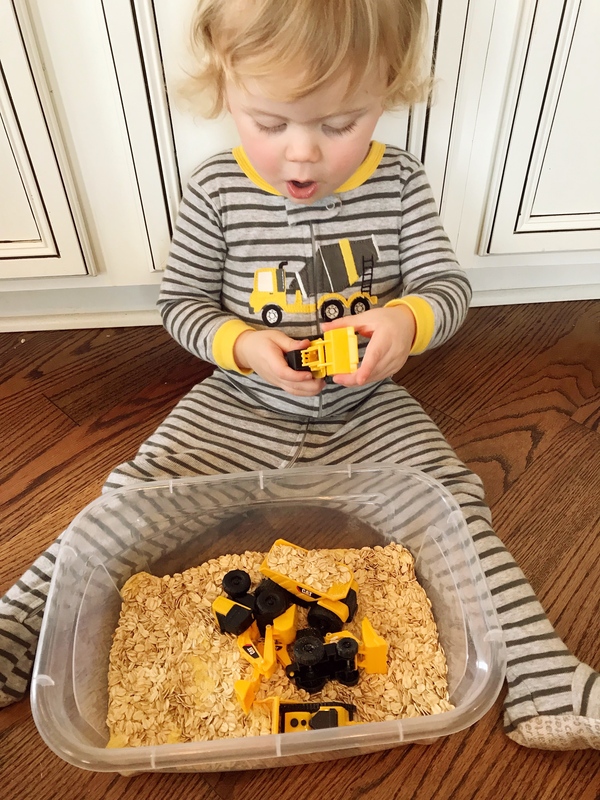 Oatmeal Sensory Bin – This is the easies type of sensory bin and provides so many educational opportunity for 2 year olds. All you have to do is pour oatmeal into a plastic bin and then add in some toys. Below you can see that we went with a construction theme. Play Dough and Accessories – There are so many fun activities you can do with Play Doh. To name a few: cut it, roll it, stick noodles in it, stick beads in it, make a ball or snake and pretty much whatever your chid wants to do. Threading Beads – We have this Melissa & Doug bead set and it’s awesome but still a little too hard. Holding the thread and beads and then figuring out the hand swaps for getting the bead on the thread can be a lot. So, if you want to do a more simple method. You can use a hard spaghetti noodle and Cheerios. Stick the noodle into a ball of Play Doh. Then have your toddler lace the Cheerios onto the spaghetti. Pom Poms & Tongs – I love tongs and pom poms so much!! There are so many different activities you can do with them. But, the simplest form of playing with these items is by having your toddler use the tongs to pick up the pom poms and then place them into another container. Animal Rescue – I found this activity from Busy Toddler and it’s brilliant!! Use a cookie sheet or plastic bin. Then get some farm animals or any animals you have. Next use Painter’s Tape to stick them to the cookie sheet. Then tell your toddler they need to save the animals. Brilliant! My son put on his super hero mask for the occasion. Dot Markers – These special markers are so much fun. You can either let your little one create their own masterpiece or you can put down dots first and have them place their dot marker over your mark. Making an “Airplane”– This is definitely not my skills set and my airplanes never fly but it’s fun trying. And basically your tricking your child into practicing their folding skills. Weaving Around Cardboard – You can cut out a shape using cardboard. I usually stick to a heart because that’s easy. Then punch holes around the edge. Once you’re finished with that you can let your toddler lace yarn or string in out and out the outline you have created. You can also buy lacing cards if you don’t want to mess with creating them. 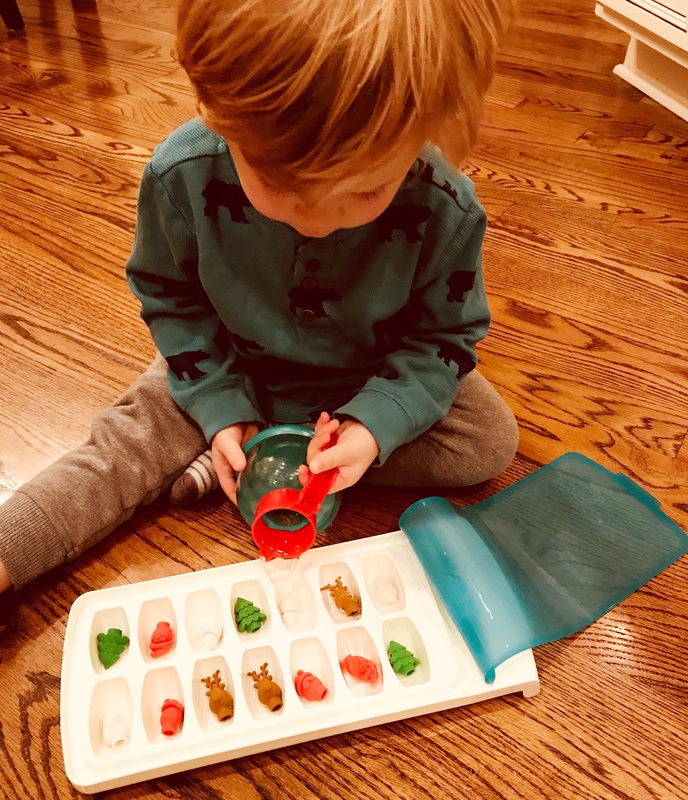 Ice Play – Another one that is so simple and so fun. Are you noticing a theme here? You can get more details about this one at Ice Play. Hint it involves ice and tongs! Any of these activities are great ways to improve fine motor skills for a 3 year old, 4 year old and 5 year old. Their all a little more advanced but still so much fun! Sorting Coins – This one is a great activity to prepare them for elementary school while working on their fine motor skills. They will be manipulating different size coins so it forces them to work on different pinching and grasping skills. Marshmallow Sculpture – This is another one I did while I was a teacher. You give your child toothpicks and marshmallows and tell them to create a sculpture of their own design. Here are some tooth pick sculpture ideas. The kiddos can get really creative with their work. Pipe Cleaners – Again, there are so many possible activities to do with pipe cleaners. You could have them stick the pipe cleaner into a straw, or lace beads onto the pipe cleaner. There is also the option of letting them make their own creations. It’s always interesting to see what they come up with. Cutting Play Doh – To cut the Play Doh they can use Play Doh Scissors or Play Doh Knives and Tools. It really works on the strength and dexterity of their hand. Tearing Paper – You can offer them a mixture of tissue paper and construction paper that they can tear into little or big pieces. Then finish the project by glueing it down to create a collage. Using Clothes Pins to Hang Socks – Love this throw back to pre-dryer days. But seriously it’s a great way to work their hand strength and coordination. Opening the clothes pin with one hand and then holding the sock to hang it. It takes some concentration that is very good for them. Cutting Lines with Scissors – You can draw lines, zig-zags and waves on construction paper (the thickness works better). Then have your child use safety scissors to follow the lines while cutting. Macaroni Thread – I remember doing this one when I was in school or “back in the olden days” as one of my students so kindly said. But, the benefits and fun of this activity are lasting. All you need is macaroni noodles and some thread. If you’re feeling super spicy you can dye the noodles. Then let your child create a macaroni necklace. A perfect gift for mom or dad. Bean Push – Any type of bean will work. I actually recommend a variation of beans and sizes. That will be more of a challenge for your child. Then ask them to push the beans through the lid of an oatmeal container. That you have already poked bean size holes in. Tip: make the holes you put in the lid a little smaller than the beans so they have to push to get the beans in the container. As moms there is always something we are worrying about. The list is pretty much never ending. The worries range from wether or not our child is listening, learning, loving, sharing, caring and on and on. My hopes and prayers for you fellow mama is that at the end of reading this you have more knowledge and peace about the mom you are and the abilities of your child. We put so much pressure on ourselves. So, take a deep breath and rest in the knowing that you are an amazing mom and your child is a gift that loves you to the ends of the earth. 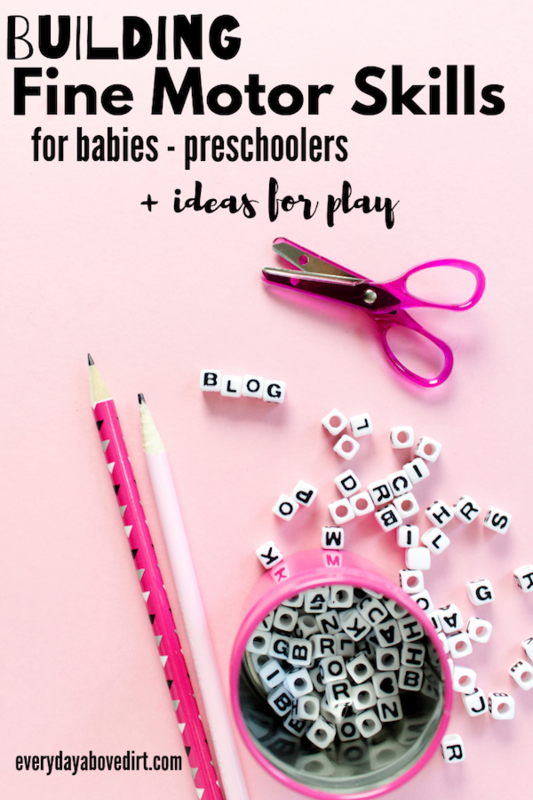 Oh, and know that your child is going to rock fine motor skills after utilizing some of these tips or they may be already! Either way, you’re awesome! Love this so much! I’m going to do the Tape Play today! 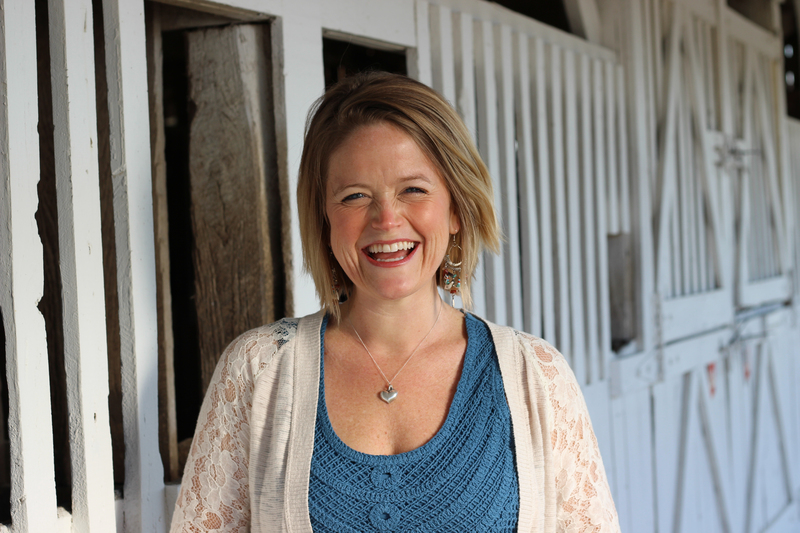 I think every mom worries more than they should, but it’s great to see you’re transforming your worries into knowledge. Great job, keep it up! Thank you so much! Some days I do and some days I don’t 🙂 There are no perfect days for sure but we can learn from all of them. 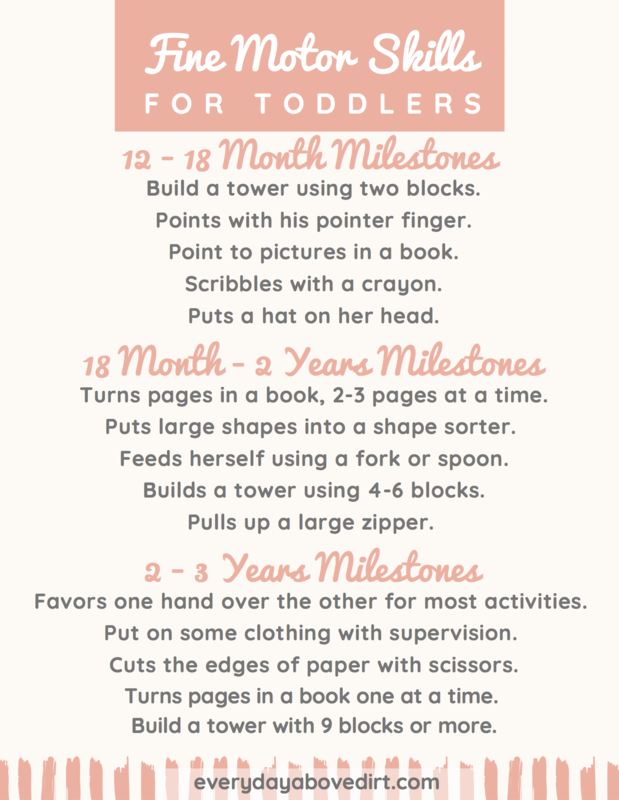 This is great information on fine motor milestones. My kids are grown but I would have loved to have this list when they were toddlers. Well, I’m sure you nailed it! And thanks for the positive input! So many great ideas. My boys did a ton of these when they were little and I am utterly convinced that it made a BIG difference. Good call on the bath paint & lid! 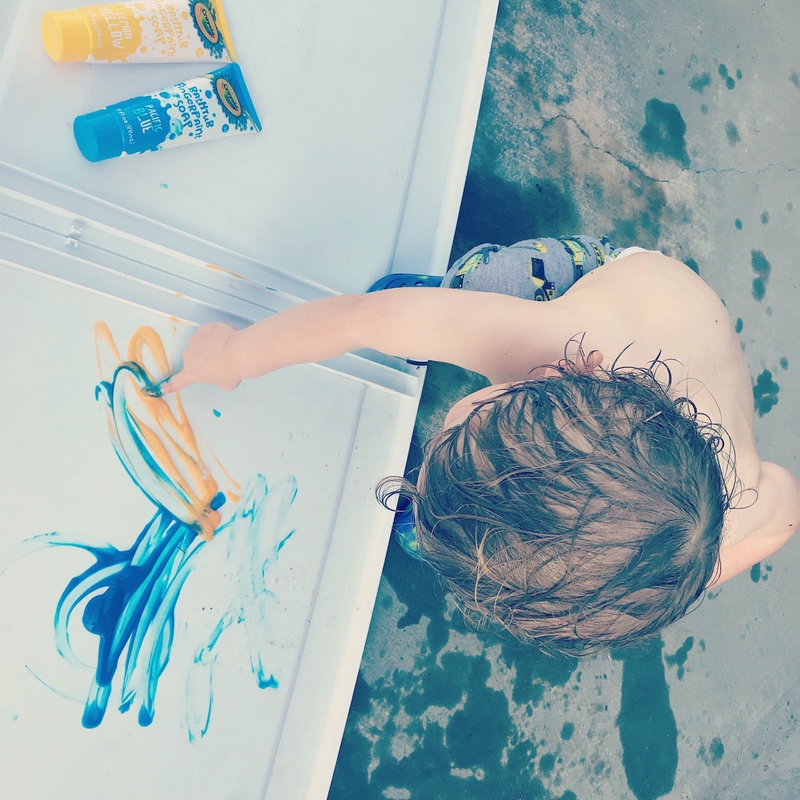 I’ve been thinking about doing finger painting but I just know it will end up everywhere–and we rent, so… Once it warms up I think we’ll try the bath paint outside. Glad I happened to pick some up for his stocking for Christmas! Bath paint it genius! I hope you guys enjoy your artsy fun!